Summer is a crazy kind of different! The daily routine is just not the same. What time do we get up now? When is lunch? What should we eat? (Can't I just go back out to my art room?) Can we really call it a routine? Like making my way through a darkened room, I am feeling my way through the non-scheduled months. It's a feat to keep some sort of routine especially where art is related! It's easier if I'm being flexible. In the back of my mind, there's a commitment to not relapse into an artistic drought. At this time last summer, my art room was just beginning to be situated for daily use. Many new routines and goals are in progress now. While I want to hold on to making art, I don't want to miss the joys of summer! Children are at home for the summer days. We all adjust. I embrace life in this season. These days zip by and won't be back again! We've got two kayaks this season; they are such a great addition to our family time on the area lakes/reservoirs. We'll have many summer afternoons spent on the water. There's just something so therapeutic about water. A few strokes of the paddle and I'm in the middle of this expanse of water. A new perspective of the land and the surface below makes me want to take pause and soak it up. Now that our kids are in their teens, we focus on what will interest them so they'll look forward to family getaways. Here, we think we've scored in that department! They have always loved the water, but the days of rolling up your pant legs and wading along the shore are gone. Lush Fields of Teton County Giclee Print in the Etsy Shop! 8" x 10" with 1" white border, signed in pencil within white border. A view of the Rocky Mountains, dimensions are 8" x 10" with 1" white border produced with archival grade inks and media. and a natural white, matte finish. This is a high quality Giclee print of my own original watercolor artwork. This view caught my eye as we drove home from an Independence Day parade. The bright clear day and the verdant fields were alive with color. The wheel tracks worn into the dirt along the fence line led my eye to the mountain range with its blue and purple grays. I picked up my camera, knowing one day this would become a watercolor painting. For the creation of the original artwork, the pigments are laid on in transparent layers, drying in between and this causes the individual layers to become vibrant. I plan carefully the mixes of pigment to prevent muddy results. Some palette knife work is used to scrape back color as well as paint in fine details. There's delicate spattering in the dirt wheel track areas. The mountain details are very loose, allowing the paint to be more uncontrolled. This gives the effect of distance and I love the softness achieved there. The views along the Rocky Mountain Front are just spectacular! I never tire of the landscape with changing skies and seasons. If you have any questions, please comment below or message me privately! Two weeks ago, we made our first camping outing of the season. The weather was beautiful, though a bit chilly and that's pretty typical of late May in Montana. I can bundle up, that's no big deal. I am so ready to escape to the mountains; a little rain and cold is nothing! In my head, I know that the trees are leafing out, the snow is melting off, and the wildflowers are blooming. It's happening now, as I share this with you. More varieties of wildflowers are waiting their turn, for the conditions that coax them come to life. I've got a huge collection of photos to share today! Let's start by getting warm, because I shared the weather tends to be quite chilly...extra layers, knit hat, neck warmer kind of chilly. When we commit, we stick it out and a bowl of hot & creamy potato soup hits the spot! There was plenty of wood ready except it needed to be cut into smaller logs for the fire pit. That's where our teenage son really helps out! He stayed busy supplying enough wood to keep that fire going for our family. Did you bring a warm jacket? Would you like some hot cocoa? We'll be listening to the fire cracking and popping soon! There's just something so mesmerizing about watching the flames dance in the fire pit. Marshmallows are at the ready...and of course, the graham crackers and chocolate bars, too! Hey! Why not really immerse yourself? This would be the perfect time to get a Pandora or Spotify playlist going with nature sounds. 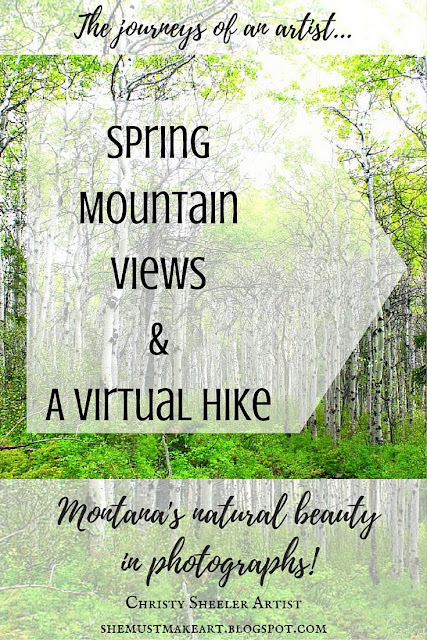 You'll hear the birds singing and get into the mindset of a visit to the mountains! I would recommend George Winston's album, Forest or Dan Gibson's album, Wildflowers. Oh, another great album: Going to the Sun: Glacier & Waterton National Parks. Ready? Okay, let's get away for just a little while and enjoy a mountain retreat! Okay, so we have a water bottle, a hat, a jacket, comfortable shoes, sunscreen and insect repellent, bear spray. (I must say, the bear spray is for spraying AT the bear, not on yourself...insert a good chuckle here.) A snack would be a great idea, too. I guess you could throw the snack AT the bear. Sorry. I get a bit goofy now and then. Let's head out and see what beauty nature holds for us! I am always eager to scope out the wildflowers and noticed a trend of primarily purple, white and yellow! I won't go into detail identifying them for you. A few of them have me stumped, even the wildflower reference books have left me wondering. The first, a type of clematis, was abundant as its vines wove throughout the tree branches. Imagine nature's confetti decorating the tree limbs. While those were easy to point out and others required a bit more work to see because of their size. Shooting Stars Graceful Giclee Print in the Etsy Shop! A delicate trio of shooting stars with noses pointing in all directions, these pink beauties have a gentle touch. This wildflower is one of my favorites as it is for many others as well. These tiny treasures when bountiful will turn a whole field magenta! That's one of the awe inspiring things about wildflowers, they spring up where you would least expect and can survive the hardest conditions. Shooting Stars Graceful Giclee art print comes without a mat. With a mat, it will slip into a standard 11" x 14" frame. It's printed with archival grade inks, a quality Giclee print on a textured natural white paper similar to watercolor paper. This fine art print of the watercolor painting by the same title is available here in my art studio, aka the solarium. I'm keeping a limited number of prints on hand but I'm able to get a new order of prints within a short amount of time. I package and ship within 3 to 5 days of receiving the order. 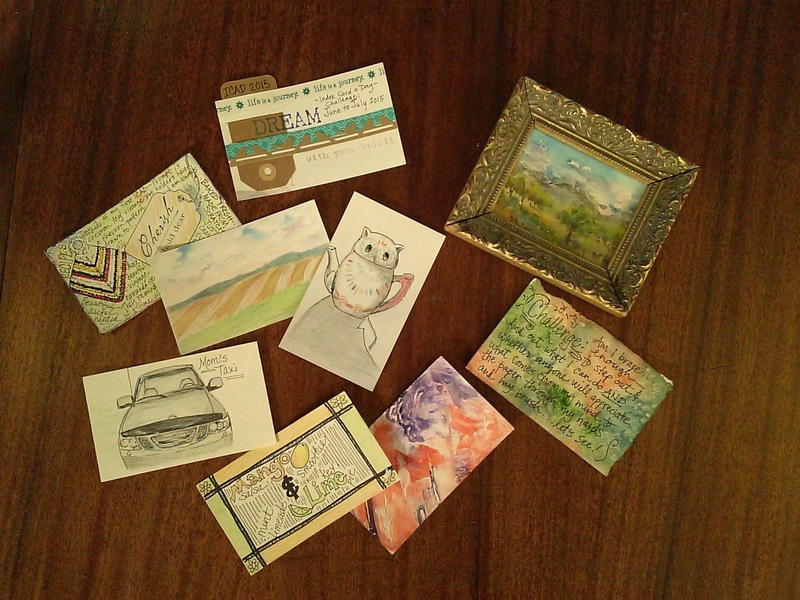 I've got beautiful and unique handmade cards to give as a free perk to every purchase. Click here to purchase this Giclee art print in the Etsy Shop, Christy Sheeler Artist! 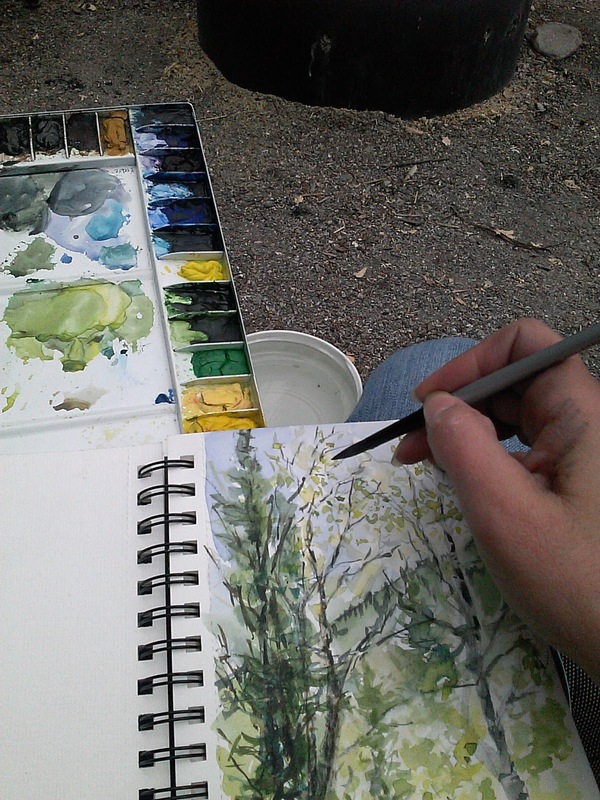 I'll be back in a few days with a new post...hoping to have new watercolor paintings in progress this week! 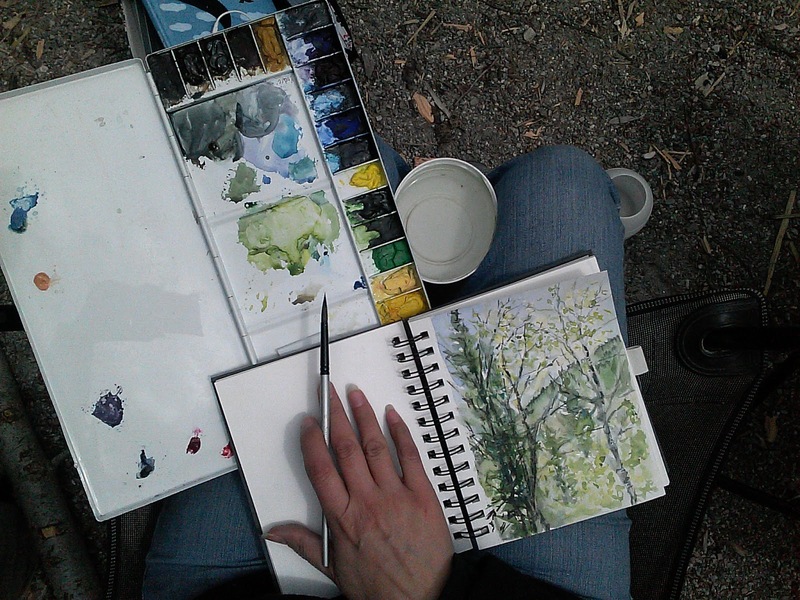 We took the kayaks out on Lake Francis yesterday...I sat at the picnic table with my travel art kit and there's now one more quick watercolor painting in the sketchbook! Right now, my garden could use some TLC and I still haven't picked up tomato plants to add to the raised beds! Our summer routine is still not really a routine at all! My uninterrupted time seems to come in short supply. I'm trying to find a balance in it all. Indian Paintbrush with Branches Giclee Print in the Etsy Shop! It's been quite a process to arrive here, but I'm so thrilled to make this fine art print available in my Etsy shop, ChristySheelerArtist. In the next few weeks, I'll be introducing additional fine art prints! Please stop back and see me here, I'll be spreading the good news each time! This Giclee art print comes without a mat. An 11" x 14" mat with 8" x 10" mat opening would coordinate beautifully. Every purchase includes a handmade note card featuring watercolor accent creatively mopped from the palette! Shown below is an example, though they are all one-of-a-kind. It's my treat as a special thank you to everyone who purchases from my art selections. Several views show off this art print of the Indian Paintbrush with Branches nicely! If you've always been a lover of this wildflower, I promise you'll love this art print just as much. It's as vibrant and crisp as the photos display. It's printed with archival grade inks, a quality Giclee print on a textured natural white paper similar to watercolor paper. It's been a lengthy process learning the steps necessary for this kind of quality print. I'm very satisfied with the results and equally pleased that I did not rush the process. I've been determined to know the ins and outs of these skills, in the end, having a finished product that represents my work in the very best way. To a certain extent, I'll be perfectly happy to hold on to my original paintings for a longer period of time...they are not easy to let go! I've got more news to share but I must get on with other tasks today! The heat has hit us here in northern Montana. We have been adding the window air conditioners strategically throughout the house. An air conditioner was placed in my art studio window today...and I'm so eager for many items are on my artist's to-do list! Another day: Etsy art sale of an original artwork, a few mountain wildflowers of early summer, art technique instructions to go along with the two hotly pinned photos on Pinterest, and much more! It has been hard to give up the Thursday blog post for this week. Here it is Friday night, and I just need to build a post because I have stuff I want to share. I'm feeling like I've jumped some hurdles art wise. If you've been following along, you're aware that the travel art kit has traveled but not gotten used on previous trips. 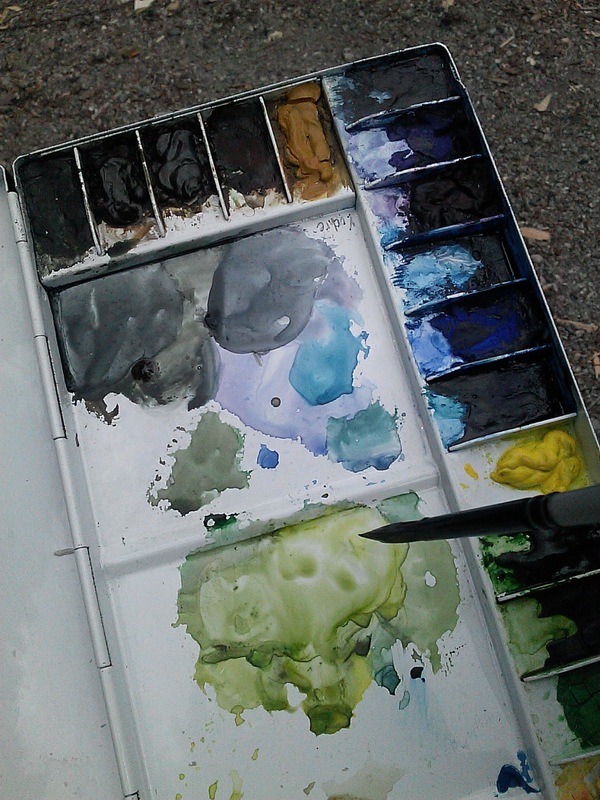 While we were away camping over the Memorial Day weekend, I was able to pull out the watercolor palette. 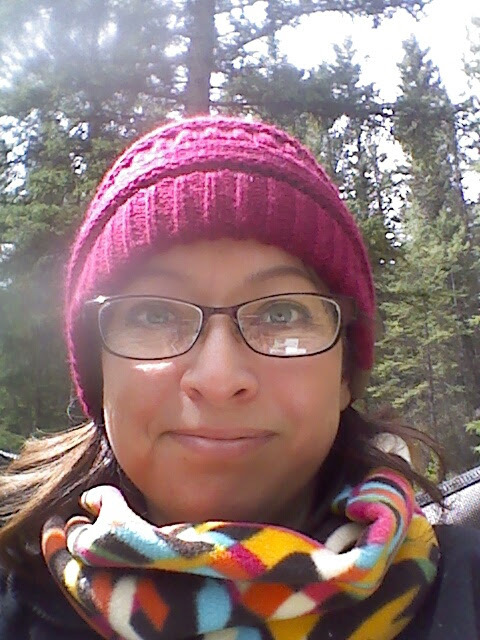 It was so sweetly calming even with the chilly weather, I didn't mind bundling up to stay by the fire. It felt great to fill a page in the watercolor sketch book! 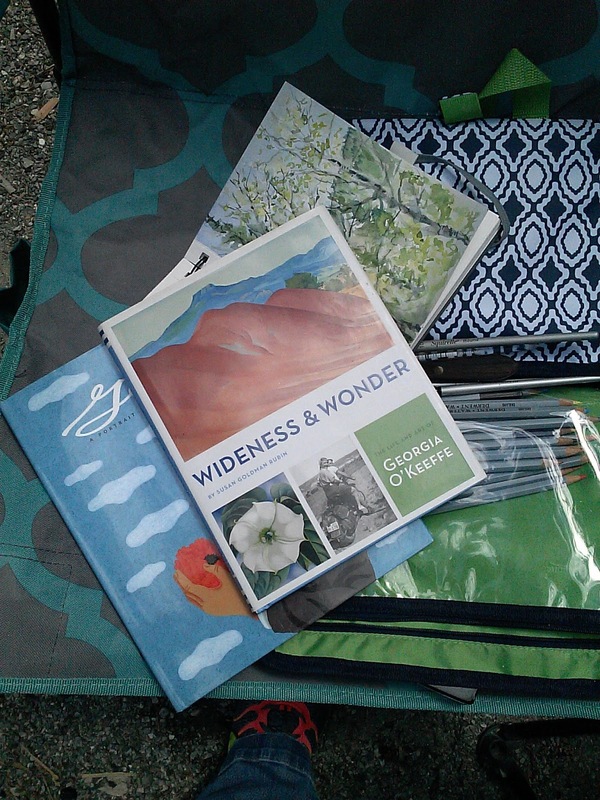 I read Wideness & Wonder, The Life and Art of Georgia O'Keeffe by Susan Goldman Rubin. It's an artist biography for young readers. It's a beautiful book and perfect length for anyone short on time for reading. 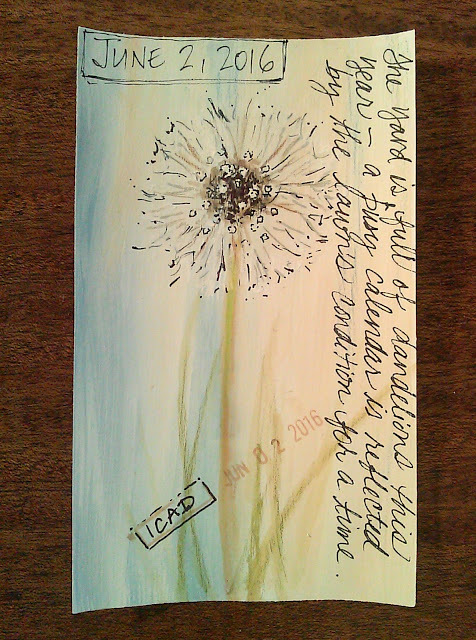 Last summer, I joined in on the index card a day challenge or ICAD. 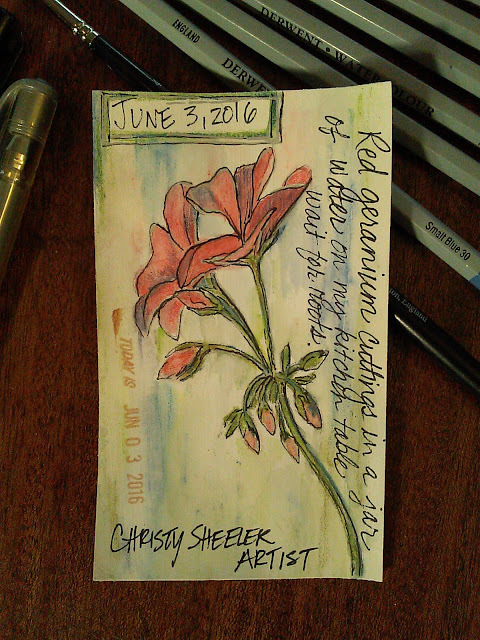 It's a challenge to create something with or on an index card, one a day, for the months of June and July. It was difficult for me to find my groove in the challenge. I was feeling a great need to be more creative. Within myself, I felt out of shape art wise. It seemed forced, disjointed, and frustrating. I couldn't figure out what I wanted to do with the art supplies. 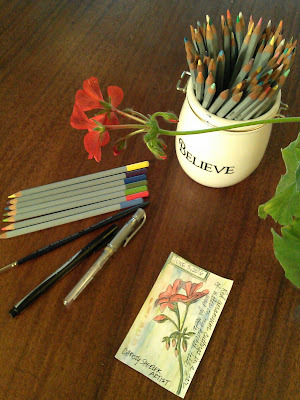 Without much time spent using my art supplies, the creative energy did not flow easily. Knowing it was time to quit avoiding this struggle, I kept pushing forward, even if I didn't like what I made in the end. I made the challenge for 8 days. That's it...barely more than a week. In that week, I did make my way over some hurdles. It wasn't a complete failure though I took it rather hard. Somehow, it fueled me to be more determined in my artistic pursuit. 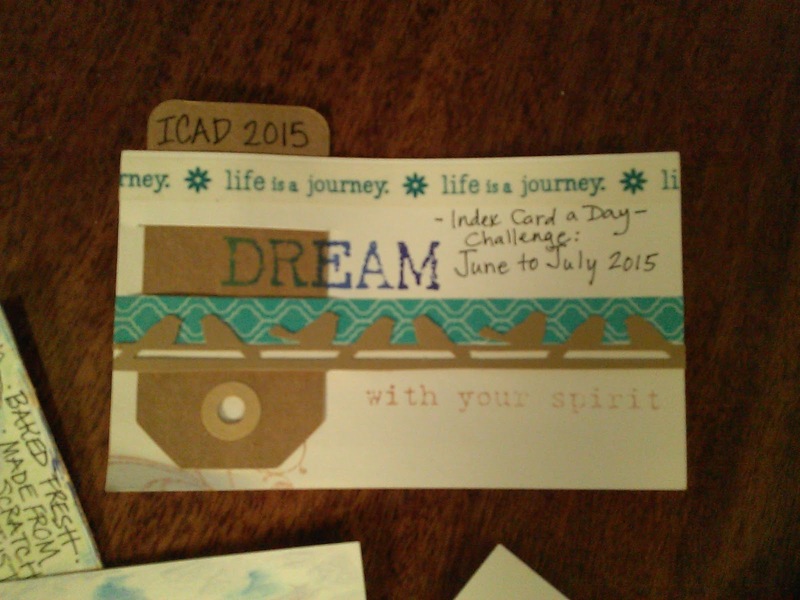 The incomplete ICAD challenge led me to many new goals in the past year. 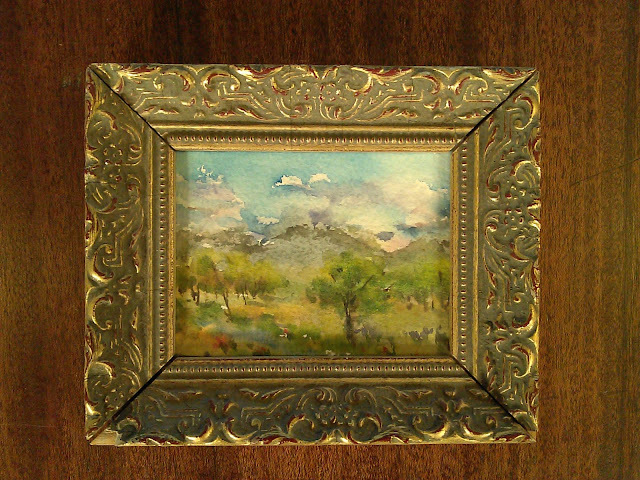 Day 7 index card has been trimmed and placed in a small gold trimmed frame. This little painting gave me hope that I could find my way back to more art on a regular basis. 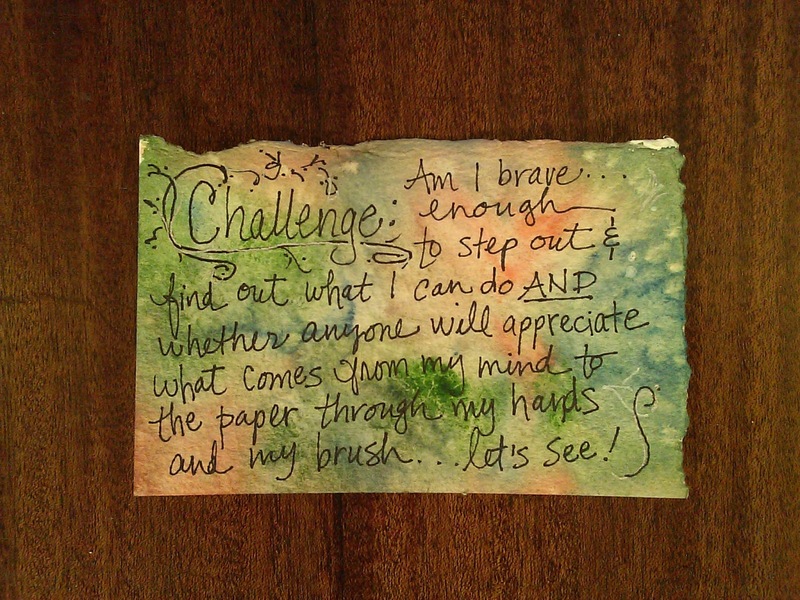 "Am I brave...enough to step out & find out what I can do AND whether anyone will appreciate what comes from my mind to the paper through my hands and my brush...let's see!" 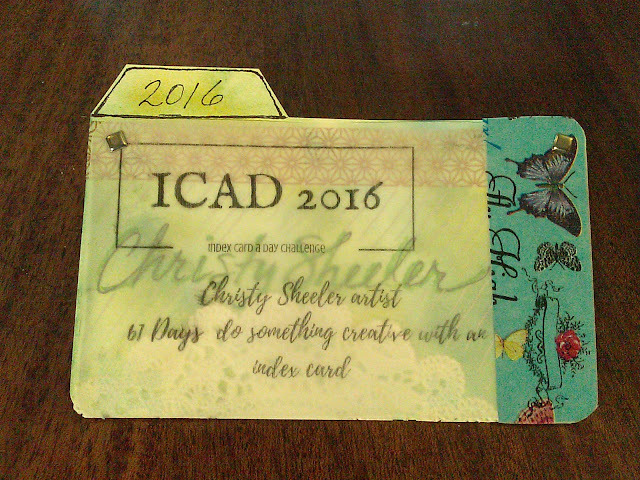 I am taking the ICAD challenge for June and July of 2016. I want to see what it brings this year. 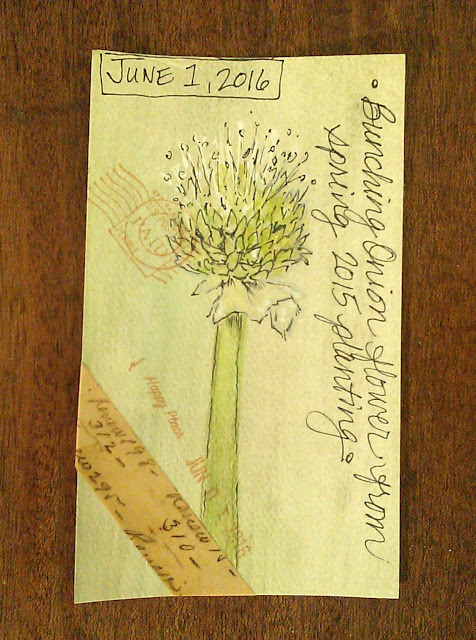 I am in better condition, excited and ready to see what waits to be created on an index card! I'm taking the nature inspired route with various plants as my subject matter. That may change before June is done. If you'd like to follow my creative Instagram feed, search christysheeler.artist. I will link to the Daisy Yellow ICAD information so that you can give it a try! Thanks for dropping in to let me share this quick update! Please drop in again soon! I'll be sure to keep the inspirations flowing through words and photographs. My camera waits to have the memory card unloaded; we'll see what treasures I captured on our camping trip. I believe we are finally going to experience summer here in Montana...oh, wait that could change withing the next 5 minutes. I'm relieved to have the survived the past two weeks! It's been crazy busy and now I'll be able to clean up my work area and begin again. I'm weary and resting up to get busy in the art studio with artwork again. What challenge can you give yourself? What hurdle are you afraid to attempt? What is holding you back from trying even if you fail? Like me, maybe you need to change your idea of failing. Maybe it's time for you to give it another try.